A Detective Sergeant and three Detectives staff the Ramsey Police Department Detective Bureau. The Detective Sergeant’s responsibilities include supervising the Detective Bureau, conducting investigations, supervising investigations conducted by Patrol Officers, and coordinating investigations with outside agencies. One Detective is designated as the Juvenile Officer. This Detective conducts investigations and handles matters involving juveniles. The Detective Bureau conducts follow-up investigations often after a Patrol Officer takes the initial report. The Detective Bureau is also tasked with initiating investigations and disseminating intelligence regarding criminal activity to the entire police department. The Detective Bureau has the ability to investigate relative minor crimes and conduct complex criminal investigations. In 2010 the Ramsey PD Detective Bureau conducted over two hundred fifty investigations. These investigations included sexual assaults, aggravated assaults, burglaries, thefts, frauds, identity theft, narcotic offenses, prostitution, house fires, lewdness, and unattended deaths. 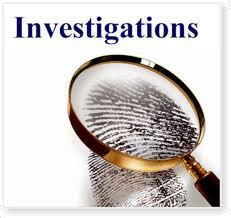 The Detective Bureau also assists Patrol Officers with investigations and conducts proactive investigations. These proactive investigations include narcotic and vice offenses. The Ramsey PD Detective Bureau executed four search warrants during 2010. The Detective Bureau works closely with other law enforcement agencies at the local, county, state, and federal levels. Detectives are assigned to the Bergen County Prosecutor’s Office Computer Crimes Task Force.